Since there’s a lot of talking going on about hurricanes and stuff lately, German tuner G-Power thinks there’s some marketing capital out there for one of their cars. 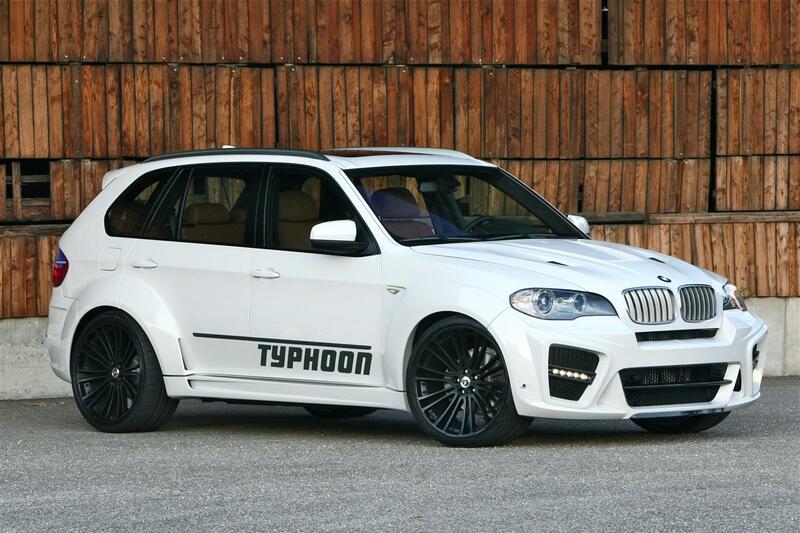 That’ll be the 2011 BMW X5 Typhoon body kit. The only difference is that this time, G-Power went for some changes that aren’t purely cosmetic. Under that aggressive looking front end, there’s now an equally aggressive powerplant, one which includes the SK III nomenclature. 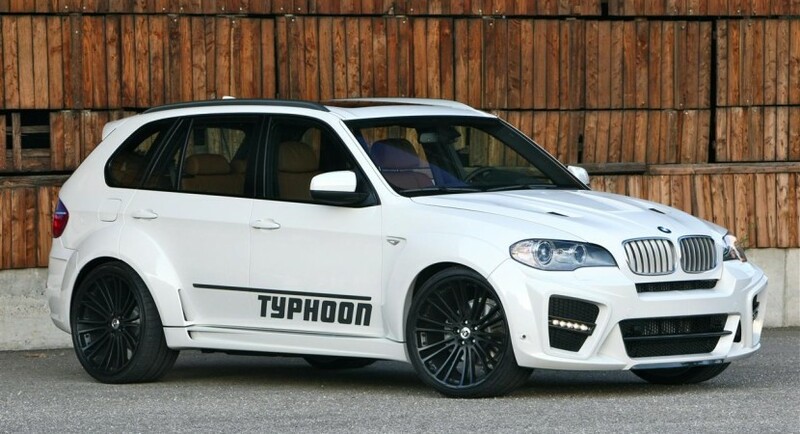 This G-Power 2011 BMW X5 Typhoon SK III is powered by a supercharged version of the Bavarian 4.8 liter V8 engine that pushes quite the gain towards the xDrive all wheel drive system. Courtesy of force feeding from an ASA T1-522 supercharger that engine now churns out 525 horsepower and 442 lb-ft of torque, a bump of 170 ponies on top of the standard version. We have no idea what sort of gearbox G-Power is using in their 2011 BMW X5 Typhoon but since the power gain may be a little stressful on the six speed automatic, there’s a god chance at the ZF eight speed one. Regardless of the “middle man”, the German tuner claims their version of the 2011 BMW X5 can accelerate from 0 to 62 in just 4.7 seconds. One would say that the time isn’t exactly impressive nowadays for a tuned up car, but let’s not forget that the 2011 BMW X5 is an SUV, and quite the heavy one at that since it weighs in at around 2.3 metric tonnes. 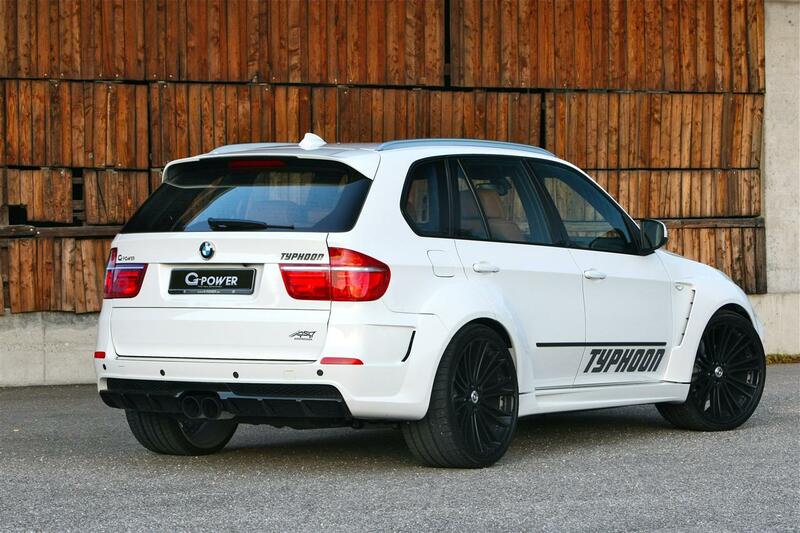 Another considerable improvement can be found in the top speed figure which can now go as far as 172 mph for G-Power.